I've gone through some of the discussions in the forum and I'm surprised by how passionate and insightful the members here about singing! 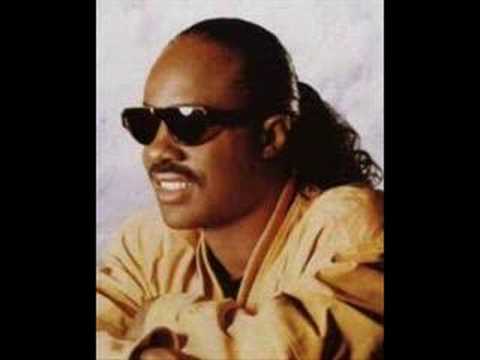 I thought I'd start my own thread about one of my all time favorite singers, the great Stevie Wonder. 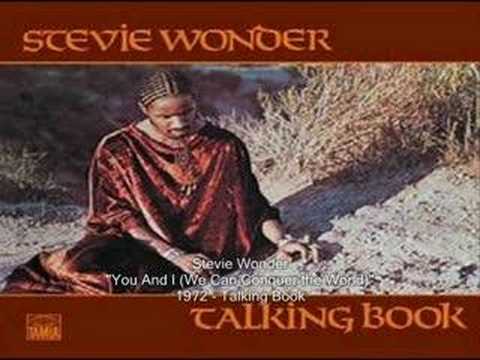 If we are to dissect Stevie's singing, what are the things that you think make him an incredible singer? I can't really put them down in terms of techniques, but to me he's so versatile and he's a master in mellismatic singing, just to name a few. However, whenever I listen to his early records I get a sense that he doesn't always sing in a "correct and healthy" manner. In some of his records, you can hear him singing in a hoarse voice ( I don't think it's an effect or something for aesthetics purpose, it just sounds that he's tired after singing hours and hours). And if I remember correctly, Stevie has also had a surgery done to his vocal chords. Technically, I haven't been able to figure out what he's doing exactly every time he hit those trademark high notes. Is it belting? Head/mixed voice? I also often wonder why he never did falsetto (maybe once or twice) in any of his songs? Is it always the case that is it tenors who often have trouble in doing falsetto? Lastly, I wonder if Ken has ever done a Stevie song? I've always loved his take of soul singers e.g. Al Green, and MJ, and I'd really love to hear his Stevie cover. Here are some of my fave Stevie's vocal performances. These are some absolutely WONDER-ful tunes! I enjoyed listening to your post! Thanks highmtn! That's a nice take of Stevie that Ken did, that gospel growl is crazy! Btw, would you mind sharing your technical analysis of Stevie's singing? I really enjoy your posts analyzing people's singing. Stevie, as we all know, came upon the scene as "Little Stevie Wonder" with a great range at an early age. I think that possibly by taking his voice to the limits as a youth, helped him to set the mold for his voice to grow as he matured. Like Michael Jackson, he had developed a huge range as a youngster, and was able to retain much of that quality and range as he grew past puberty. He has seemingly always used a very bright tone, and at times employs a lot of mask. His sound is well-supported, and he goes quite high into his range in a thin, ringing chest voice. He is quite comfortable on a Bb4 in chest in some of the tunes posted above and can go higher with that tone when he wants to. 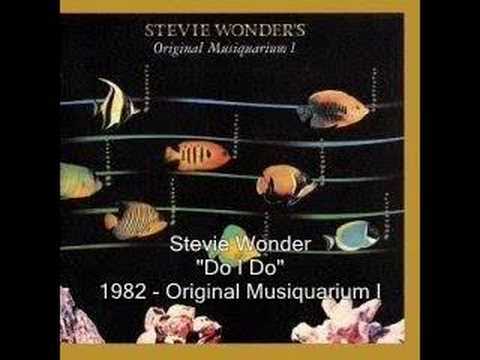 What sets Stevie apart in my opinion is his ease with his melismatic runs at the ends of phrases. These are highly melodic, decorative runs that embellish and put a cherry on top of a phrase before ending a breath. These runs take super support and breath management, because they tend to be after a complete line of lyrics, and extend the vocal line much further beyond that. You can't nail those notes unless you've got plenty of support and fuel left to complete the line. Stevie's use of a very bright tone enables you to hear every note when those fast runs come along, and that also helps him to keep every note in perfect tune. Stevie sometimes really leans into the mask to emphasize the pharyngeal tone available there. You thin out and pare down the sound and get the sound to resonate in the sinus areas. Once you find that sound in the M, N, and NG sounds, you endeavor to keep that ringing feeling going to the extent possible on more of your singing. You'll notice that Stevie has a really big smile in many of his films and videos. The smile emphasizes mask and brings out the high-frequency component in the voice. We use mask, to some extent in the EE and AA vowels. Ken mentions in his MASK webinar that mask has a brighter edge that is very beneficial to discerning pitch. If you want to challenge your voice, work on some Stevie Wonder songs. Wow, thanks a lot Bob! What an insightful analysis of Stevie's singing. I'm particularly interested in achieving (1) his bright tone and "ring" with the use of MASK; as well as (2) tasteful use of mellisma and runs. Are those two things also taught in Ken's DVD program, if yes, which section? Also, is Ken's MASK webinar accessible online? Ken has a whole section on "Licks and Tricks" which is one of the bonus downloads/disks in the ProPack. That basically takes simple runs and trills and gradually adds more and more to them until you are doing more complicated runs. Mask is covered in depth in one of the KTVA Webinars that is in the students-only section of the Forums. The Webinar is titled MASK Webinar 022512.